For sale: 1918 Harley-Davidson. One owner, lady driven, garage stored. Not that you’d notice it, since it’ll be competing for your attention with a 1913 Excelsior and motorcycles owned by famous people in the auction on May 3. Auctioneers Bonhams and Butterfields will put the rare bike and 100 motorcycles on the block at the Legend of the Motorcycle concours d’elegance in Half Moon Bay, California. Motorcycles once owned by Steve McQueen, Evel Knievel, and Michael Corbin, and six vintage Harleys from the Santa Cruz Harley-Davidson dealership — all real motorcycles — will be auctioned off. 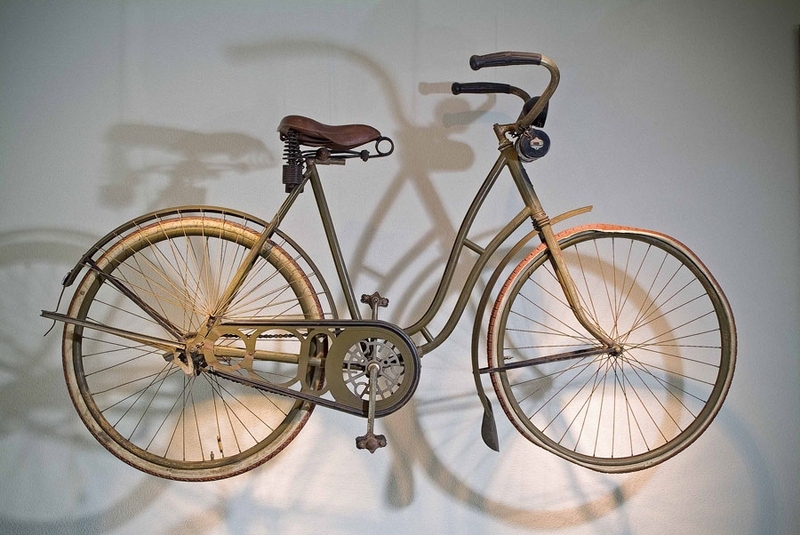 The Harley, with battery-powered light, wooden rims, special chainguard, and web of string covering rear wheel spokes (to keep skirts from getting caught) was bought by a woman who was born in 1899 and worked for the US Postal Service as a rural carrier in order to pay college tuition. She used it for daily transport, and when she graduated, she put the bike in her garage. And there it stayed, for 50 years. You can register to bid, or buy a catalog, by calling 415-861-7500, or see www.bonhams.com for more info on their garage sale … er, auction. I think the old lady stayed on the bike too long i’ve notice a front flat tire. Does H-D mean heavy duty or hormonal deficiencies. Definitely time for some new tires.